The study of the history of human activities in ancient cities has provided valuable evidences for understanding the evolution of human-land relations during the late Holocene. Numerous ancient cities were discovered through archaeological surveys of the east Qinghai Province, located on the northeastern border of the Tibetan Plateau, China; however, the mystery of when or why these cities were built remains unsolved. 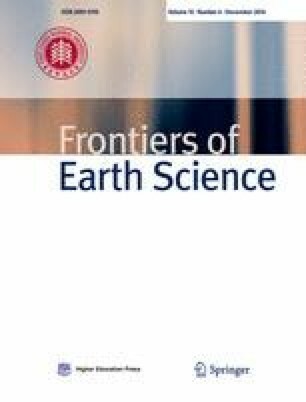 As recorded in this paper, we sampled reliable dating materials from 47 ancient cities in the area, determined their ages by radiocarbon dating, and compared the dating results with historical documents and high resolution paleoclimate records to explore the influencing factors for the development of these ancient cities. The 54 radiocarbon dates indicated that most of these cities were built or repaired during the Han Dynasty (202 BC‒AD 220), Tang Dynasty (AD 618‒AD 907), the Five Dynasties and Ten Kingdoms period (AD 907‒AD 960), the Song dynasty (AD 960‒AD 1279), and the Ming Dynasty (AD 1368‒AD 1644). The radiocarbon dates correspond well with historical records of the area. Our work suggests the ancient cities in east Qinghai Province were likely built primarily for military defense, and may have also have been affected by climate change.